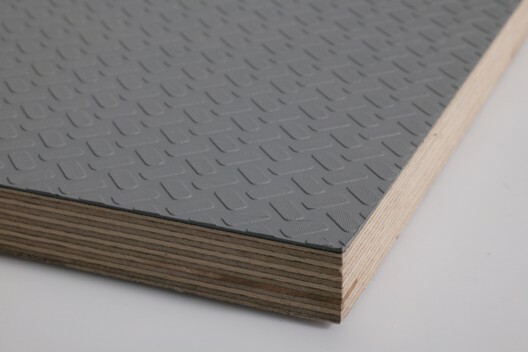 Composite TPO Birch Plywood is grey (RAL 7000), thermoplastic, textured polyolefin overlay. It is flexible, wear resistant, does not crack, resistant to chemicals and UV. 1250 mm x 2500 / 3050 mm, 1525 mm x 2500 / 3050 mm. Boat building, van and tent shed floors.